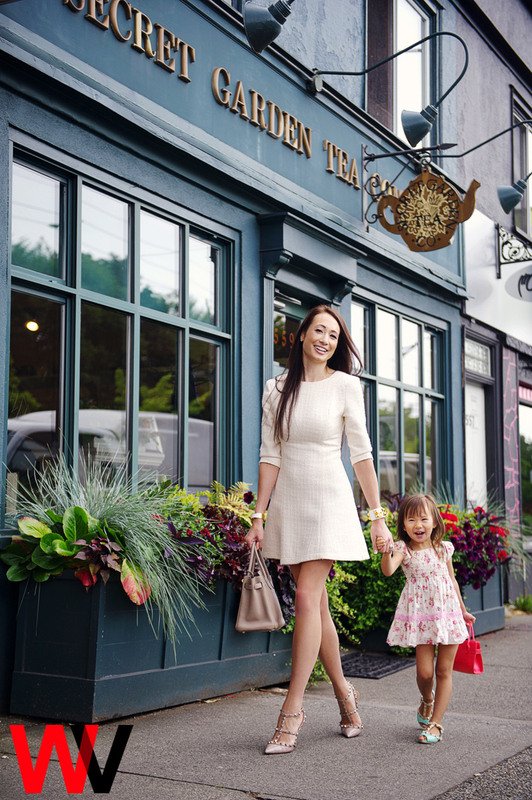 Women of Vancouver is an editorial series featuring stylish and professional women in Vancouver. WofV producer and stylist, Jason Sarai of Style by Sarai, recently interviewed Sunan Spriggs for this exclusive in-depth photo editorial. I co-founded a payment technology company called Payfirma. We help businesses accept credit and debit cards online, in their stores and on mobile devices. We opened our doors three and a half years ago and it’s been an absolute blast ever since. How did you get involved in this career? I actually worked for another payments start up! We ended up taking that company public back in 2010 and then went on to start Payfirma. Back then, mobile payments was still a relatively new concept. The ability to effect change and the opportunity to dream big and bring ideas into reality. I also love being surrounded by people who are passionate about what they’re doing and who are working for a purpose not just a paycheque. Everyone at Payfirma understands the value they bring not only to the organization but also to the people behind the businesses we’re helping with our products. I worked for one of the big four accounting firms previously and looking back, now realize how much your environment motivates you. I couldn’t wait to get out at 5:01 versus with Payfirma where in the first year, I only stopped working for six hours while in the hospital delivering my daughter. I love my job, work is fun, definitely challenging, but very rewarding. Where do you see Payfirma in five years? Payfirma has already seen rapid growth in the three years we’ve been in operation. The beauty of working in a startup is our ability to innovate quickly and roll out products and solutions to meet the needs of our customers. Our ultimate goal to be the leader in online, mobile and in-store payments both in terms of our amazing products and our genuine care for our customer’s success. I’ve always been passionate about fashion, technology and consumer experience. At Payfirma I’ve had the opportunity to learn a lot about eCommerce payments. In my next venture, I’d like to combine my three passions and delve further into revolutionizing the experience of shopping online. What’s it like to be a female executive in the tech and finance sector? In my experience, the tech and start-up world can almost be more difficult. Not just because of glass ceilings but also because of the inherent passion, which results in long hours. I used to happily stay in the office for 12-16 hour days. Now, as a mom and executive, my workload has doubled whereas my available working hours have been cut in two. Despite the challenge, I’ve found it empowering. I continually achieve things I never thought I would. For example, proving to myself that I could still be that passionate and dedicated youngster, launch a company and deliver a baby all within the same year. That was pretty rewarding. It made me realize that there are no boundaries and that my biggest obstacle is myself. If you want something bad enough you will make it happen. The key is determining how bad you want it. What’s your advice to people wanting to pursue a start-up business/venture? 1. Pick something you’re passionate about because it’s going to take up a lot of your time. The upside of it is that it is unbelievable how much time you can find for the things you want to do. 2. Be flexible. Your business model is likely going to get tweaked if not completely turned upside down. Make small tests and be willing to adapt quickly. I really liked the book “the lean startup.” It shifted the way I approached challenges and has helped me increase the speed in which I learn. 3. I’m going to echo my business partner, who always says: “Surround yourself with people who are better than you.” It causes you to continually reflect on your own performance. 4. If you’re working for somebody else, position yourself in a place where you can flourish. Make yourself irreplaceable. If you’re not in an environment where you can excel and stand out, then you’re in the wrong place or you’re not working hard enough. At Payfirma my focus is on onboarding, customer experience and our back end operations. We’re a recurring revenue business, which means that customer satisfaction can’t just be a buzz word for us. Our revenue is driven from our customers continuing to use our products each month and that is contingent on us delivering new value in our products and support to them. I’m a fervent believer in the build, measure, learn, repeat model. I spend a lot of my time working closely with my team measuring and modifying our techniques and strategies. We’re always testing, which means we’re always learning. On a typical day, I try to get to work early so that I can get some of the big tasks out of the way before the day starts to pick up. Once the team is in we talk about the previous day, share our lead measures and talk about our goals for that day. I used to get so caught up in work I’d put off taking time to eat until late in the afternoon. I’m so grateful to Bel Café who now delivers lunch to me everyday. It’s been a huge time saver and ensures that I’m eating healthy and delicious food everyday. Learning to balance my work and family life is a challenge for me so I set an alarm to remind myself it’s time to go home at 6 o’clock. I’ll admit, I hit the “snooze” quite often but on a good day I can usually get out in time to enjoy dinner with my family. I don’t always do good job at it, and that’s the truth. You always hear these stories about these rockstar women that juggle being a mom, wife and business woman perfectly. I don’t. I’ll have a great day at the office, which probably means I’ve worked late, which means I’ve missed putting my daughter to sleep. Or I’ll take my daughter to school and I’ve had to push back an important meeting. You just have to try your best and do what feels right. I am lucky to have an amazingly supportive family. My husband gets me. He supports my dream and values my ambition. He’s also the first to put me in check if I start “forgetting” to come home at a reasonable hour. I also have an amazing mother who lives with us. Growing up, I moved out of the house for the first time at 14. I couldn’t wait to become “independent.” Now, I really value the family unit and am so grateful that my daughter can experience the unconditional love of being in a multi-generation household. Finally, I will say that I’m very grateful for technology. Being able to share breakfast with Sienna over Facetime helps me take part in those precious moments a working mother often has to sacrifice. Where does Vancouver stand in comparison to some of the other cities in North America and Europe when it comes to start-ups in the Tech space? Vancouver continues to grow as a startup hub and centre for innovation – it’s an exhilarating time to be a part of this community. I think it’s really the quality of life here that sets us apart. People who live in Vancouver do so because they want to take advantage of what the city has to offer. I think the recreational environment around Vancouver alone encourages “outside the cubicle” thinking – perfect for the startup environment. Yes, the high cost of living does make it challenging to recruit and retain top talent but it also means the people who are here want to be here. I am also thrilled to see more and more resources being made available in the city to encourage young people, especially young women, to embrace careers in tech and pursue entrepreneurship. I entered the workforce when I was 16 and opted for real world experience instead of traditional education. There’s some really brilliant minds in this group, and I’m so glad to see this untapped pool of talent is starting to become recognized. Both my business partner and I believe in giving back to the community. Payfirma has been a proud annual sponsor of the 65 Roses Gala, which helps bring awareness of cystic fibrosis, searching for a cure and supporting families impacted by the disease. Another foundation close to our hearts is the Children’s Wish Foundation. Through fundraising events like “Exile Island” we have encouraged our employees to take part in giving back to the community as well. It can be so easy to get wrapped up in work and giving back is a great way to put things in perspective. One of my goals this year (now that Sienna is older) is to get more involved with being a mentor to female entrepreneurs especially since there’s some really great opportunities for this in Vancouver. Right now I’ve focused my efforts within my own company. For me, being someone’s boss really means being a coach in a lot of ways. It’s not enough to give direction, part of my responsibility is to help people grow and evolve professionally. All the executives at Payfirma have an open door policy and I work closely with my team to ensure they feel supported, challenged and nurtured. An open door tells them they can come to me with any ideas and concerns at anytime. No matter how big Payfirma gets, I won’t ever change that. Spare time? Ha! As a mom and an executive, spare time is definitely in short supply. I try to spend as much time with Sienna as I can doing arts and crafts, visiting new restaurants and places around the city. I do believe in “me time” and usually that’s early in the morning when I listen to an ebook while getting ready for work. On occasion, you may still catch me out and about downtown having fun on a Saturday night. What your favourite places to go eat in Vancouver? I really like to eat at home with my family. We make sitting down for a proper dinner with a table set our top priority. My husband always cooks healthy food and it’s a time where we reflect on our day with one another. That said, it would be a crime to not eat out in this city with so many great restaurants. Ambience is equally important to me as food. Some of my top picks are oysters and wine on the rooftop of Joe Fortes, late night mini-sliders at Black + Blue and Hapa Izakaya is basically my second home. What are your favourite places to go for tea? I love the Secret Garden Tea Company and the Fairmont Pacific Rim. How did you and Sienna get interested in high tea? Tea is big in our house. My English grandmother had a huge influence on my enthusiasm for tea. We probably drank more tea than water growing up. On my husband’s side, tea in the Chinese culture is equally if not more important. With both these influences it’s no wonder that our daughter has displayed an early passion for the practice of serving tea! It really became noticeable when Sienna was around two. I saw this little tea set when I was waiting in line at London Drugs and I bought it and brought it home. Ever since then she’s been hosting tea parties regularly. The usual guests include Spot the stuffed dog, sister and brother baby and aardvark. My (real) Pekingese, Honeydew, will also make an appearance now and then. What do you recommend someone to try when at Secret Garden Tea Company? The Lemon Tarts and Croissant Sandwiches. Hopefully it’s described favourably! I can’t speak for other people, but I like to think of it as glamorous, fun and chic. What does style mean in the finance and tech space? I think that a lot of women, in finance especially, get trapped into wearing dark colours, neutrals and generic looking power suits. I’ve really avoided sticking to that look when it come to my style. I don’t think I should have to compromise my fashion choices based on a certain industry. I work with hipsters in plaid shirts on the tech end of things and executives in Armani suits on the finance end of things, so I just stay true to who I am and find what works for me. I guess the take home message is don’t let your industry define you or mute your sense of style and expression. Yes, you want to wear something that’s work-appropriate but that doesn’t mean you have to give up wearing bright colours or your favourite heels. To be honest, I’ve found towering over my peers because I’m wearing my Charlotte Olympias or Louboutins has actually given me a sense of confidence in certain situations. It really comes down to wearing what makes you feel good. My style is my canvas and it reflects how I feel on any given day. I’m actually a fairly quiet individual and so I find I use clothes as a way to express myself. I view style as a language or an artform. Even if I don’t share the same taste as somebody in terms of their outfit, I appreciate their effort and their confidence in expressing themselves through their own style.